The following lab is going to run through the steps to build a working NetScaler Cloud Bridge demo setup from scratch. The lab aims to demonstrate that a guest machine in Site A on Site A's subnet, can successfully communicate with a machine on Site B's network but with an IP address from Site A's subnet, and vice versa. Presently, the NetScaler VPX Platinum Evaluation is available at http://www.citrix.com/NetScaler and registering for the trial will provide access to downloads for NetScaler VPX on XenServer, VMware, and Hyper-V; and a license code for a 90 day evaluation. Applying for the NetScaler VPX Platinum Evaluation twice will provide the two required Platinum Edition License Codes. *The license keys will be obtained later after obtaining the MAC addresses of the NetScaler VPX appliances. *Source www.citrix.com : Cloud Bridge is also included as part of the larger NetScaler Platinum Edition on either-NetScaler SDX™, MPX™ or VPX™ appliance platforms. 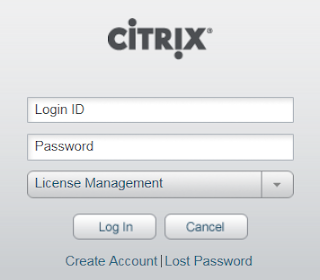 It is free to register for an account which will later allow for download of license keys for the NetScaler VPX appliances. This can be either Citrix XenServer, VMware ESX(i), VMware Workstation 8, or Hyper-V. The NetScaler VPX Appliances come pre-configured with 2GB, 2 processors, and 20GB disk (about 350MB with thin-provisioning,) and would recommend the hypervisor has at least 6 GB free memory to play with, and 6 GHz available processing power. *This lab uses VMware Workstation 8 which can open OVF templates (Workstation 7 could not open OVF templates,) and this was running on top of a Windows 7 Workstation with 6 GB memory and an AMD Phenom 9950 Quad-Core 2.6GHz Processor. More detail in Section B. *This lab uses a virtual Windows Server 2003 system running Routing and Remote Access. *To demonstate the Cloud Bridge in action, using a point-to-point type link is not totally sufficient since two NetScalers connected across a point-to-point type link can work as a capable standard bridge without needing Cloud Bridge; hence a router is introduced into this lab setup. Essentially, just something to ping with and reply to ping packets; may be useful to have an internet browser too. *This section continues from having imported two NetScaler VPX appliances into whatever hypervisor environment is being used; and having configured the networks, endpoints, and router, similarly to the above. 2) Via the console, complete the prompts to configure IPv4 address of 10.10.10.5, Netmask of 255.255.255.0, and Gateway of 10.10.10.2; and then select option 4 and press enter to save the changes. lmutil - Copyright (c) 1989-2007 Macrovision Europe Ltd. and/or Macrovision Corporation. All Rights Reserved. The FLEXnet host ID of this machine is "000c29c00fe5"
Very nice staff :) Still, I was not able to make it work. Isnt it possible that there are some mistakes? E.g. shouldnt wxpwsb's IP be 10.10.20.20 and nsvpxb's SNIP 10.10.20.25? That would make more sense. I also do not really understand the routes.